Hey brunette ladies! 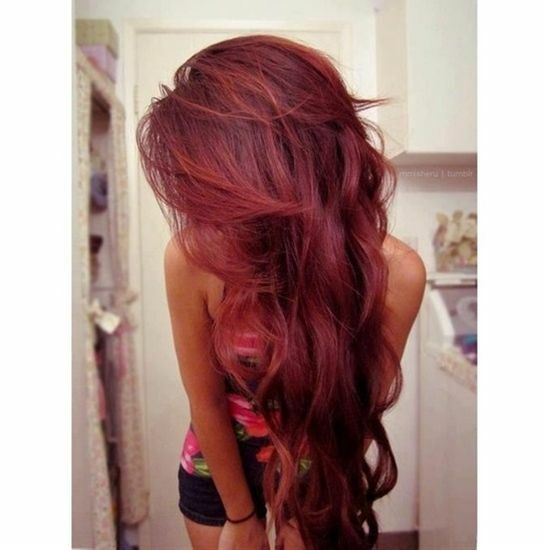 Go daring and coat those dark locks with a cherry cola colored dye! Get it done at the salon or just go for the cheaper route and pick up a box of John Frieda 5R or 5RV. Couldn’t you imagine a beautiful mermaid having this same hair? Fantastic length, completely unique color with a darker, more ashy purple towards the front of the face, wow! Who would have the guts to try this one out and pull it off? Let me know in the comments below! I wish I could find more pictures of Alessandra with this amazing color but I just can’t! How amazing does the blonde look on top of her darker brown?! Love, love, LOVE this! The cut is layered, full and beautiful! What an amazing way to change up dark hair without going too crazy! Still gives the illusion of intensely dark hair while brightening things up with an all over auburn color. Dark haired ladies, would you give this color a shot for Fall or Winter? I am so in love with this multi-tonal blonde it’s ridiculous. The highlights and lowlights work so well together, definitely my next hair color. What do you guys think, love it or hate it? Check out this hair color. By far one of the prettiest reds I have ever seen! What do you guys think, do you love this color as much as I do? 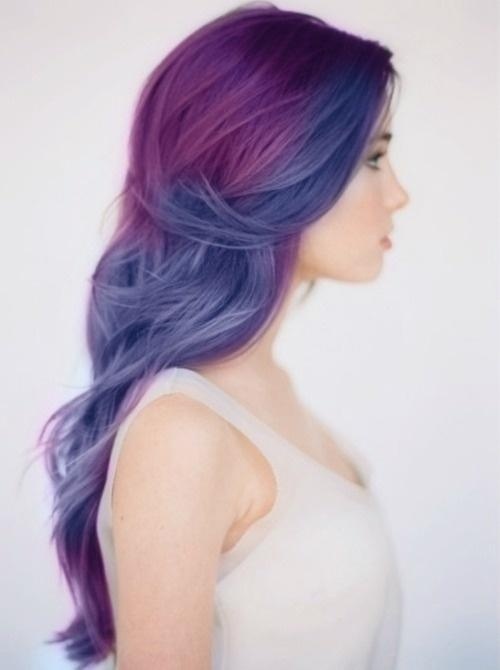 Would you ever try a color like this out? We are all about the hair here! If you’re looking for a new shade to try out then check out some of these great looks we’ve put together for you! Want a Bronzed Blonde? I Got You Boo! I really love this color, it’s beachy, super long and beautiful! What do you guys think, yay or nay?